Pietá is an Italian word meaning pity and in art history it refers to the subject of the Virgin Mary holding the body of her dead son in her lap. The subject has no scriptural sources, but first developed in Florence around 1500 out of representations of Christ's descent from the cross, which emphasized the subject's dead body and wounds. 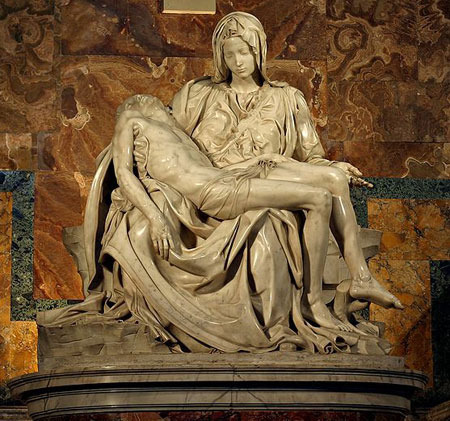 The Pietà is intended to inspire pity and sorrow in the viewer as he contemplates the penetrating sorrow of a mother (symbolically, the mother of mankind) for her son, who according to Christian belief died for the sins of mankind. 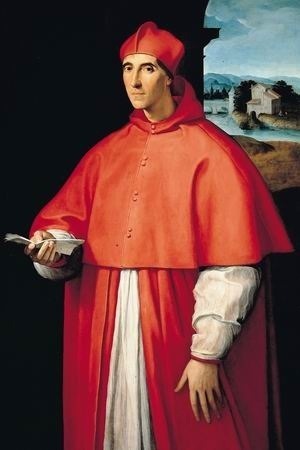 The subject is thus perfectly suited for the Counter-Reformation aesthetic, which called for an art with direct appeal to the emotion that would elevate the viewer to piety and religious sentiment. Annibale Carracci's Pietà was commissioned by Cardinal Farnese in 1599, during the period in which Carracci was decorating the Farnese Gallery. After the Cardinal gave this painting away as a gift (which is how this Pietà ended up in Naples), he commissioned another painting of the same subject from Carracci, which is the Pietà that can be seen today in the Louvre. Carracci executed this painting simultaneously with the frescoes in Farnese Gallery in Rome. 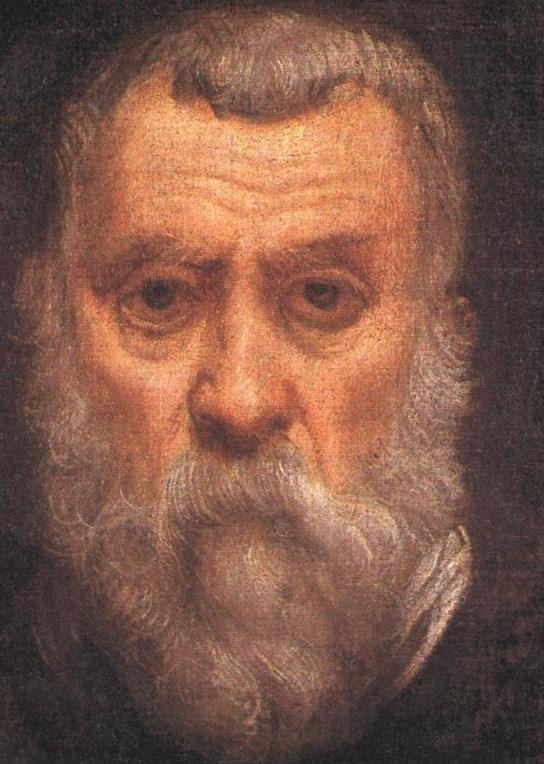 It shows Carracci's capability to combine in an original way the style of selected artists from the past, in this case those of Correggio and Michelangelo. The ultimate example of this subject is Michelangelo's Pietà, which Carracci would easily have been able to view at Saint Peter's in Rome. Carracci's painting shares several obvious compositional similarities with Michelangelo's sculpture: Carracci borrowed the pyramidal composition, the Virgin's gesture and the limp fluidity of Christ's inanimate body. 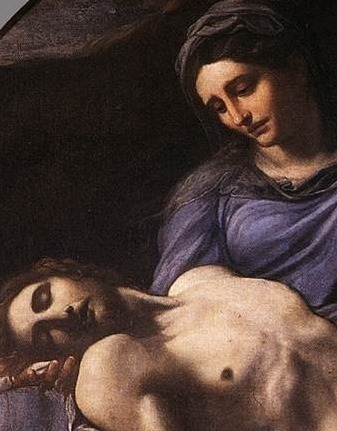 The painting of the Pietà coincides with the maturation of Carracci's style. The proportions and musculature of Christ's limp, pale body and the expressions of the Virgin and the two putti reveal Carracci's careful study from nature. At the same time, these figures have been perfected and the proportions of the Virgin's face, for example, speak to the influence of Classical art. 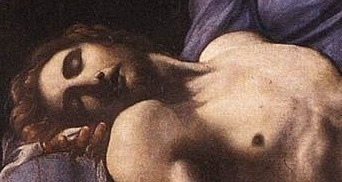 Carracci's Pietà is darker both in tone and spirit than in almost any other of his paintings. 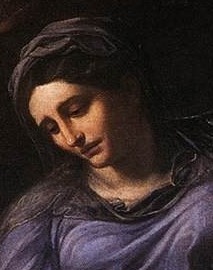 Carracci may have chosen the dark atmosphere and dramatic lighting effects to better suit the sorrowful mood of the subject. This chiaroscuro also evidences the influence of the Venetian painters of the Renaissance, like Titian and most likely the influence of Caravaggio, whose work Annibale Carracci would assuredly have known by this point. In keeping with the mandates of the Council of Trent, Carracci's Pietà is intended to touch the viewer's heart and stir his emotions. 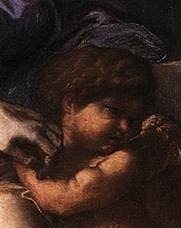 Tears glimmer in the eyes of the little putti in the right hand corner of the painting, who tug on Christ's lifeless hand and point, grimacing, at his wounds, inviting the viewer to similar sorrowful reflection. Sadly, the Pietà was one of Carracci's last important paintings. After his dismal mistreatment at the hands of Cardinal Franese upon the completion of the Farnese Gallery in 1601, Carracci's painting production was drastically reduced. Religious subjects were the bread and butter of artists since the early Christian period through the Baroque period. Annibale Carracci was a pioneer of the new, Counter-Reformation style of religious art, characterized by decorum, clarity and appeal to the emotions, as seen in his Pieta. Like Carravaggio, Carracci achieved the miracle of making his religious figures seem utterly human and approachable, endowed with natural postures and expressions. Annibale's early religious paintings were wildly controversial in a still-Mannerist Bologna. In these early works, Carracci adopted the idiom of genre painting (loose, rough brushstrokes and natural, individualized figures) to represent sacred, ethereal personages, which the artistic establishment simply wasn't ready to accept. After studying the masterpieces of antiquity and the Italian Renaissance, Carracci refined his style. Unlike the more rebellious artist, Caravaggio, Annibale idealized his figures, depicting a perfected vision of humanity. His figures are also endowed with a sweetness and piety likewise absent in Caravaggio's paintings. Annibale Carracci is the forgotten artist of the 17th century but his art was extremely influential in the course of Baroque art. His style was revolutionary for its unprecedented naturalism and careful, objective study from life. It's a credit to Carracci that artists such as Poussin, Bernini and Rubens have admired his work and many of his assistant and pupils went on to become renowned artists in their own right, including Giovanni Lanfranco, Domenichino and Guido Reni. The Baroque style originated in Italy and its pioneers include great artists such as Michelangelo and Tintoretto. Baroque art focused on impersonal and generic works with an animated and energetic mood. The success of this art genre was promoted by the Roman Catholic Church and the aristocracy, the latter of which saw Baroque art as a means of demonstrating wealth and power. Annibale Carracci began painting at the wane of Mannerism and at the peak of the Counter-Reformation, just after the thinkers behind the Council of Trent made public their call for a new art: an art of simplicity, clarity and a direct appeal to the emotions. Carracci took these criteria to heart and almost single-handedly molded what would become the art of the Italian Baroque. Italian Baroque art was not widely different to Italian Renaissance painting but the color palette was richer and darker and the theme of religion was more popular. It was Carracci who managed to blend an unprecedented naturalism with the idealized perfection of classical and Renaissance art, thus creating the style that would dominate Italy for an entire century. 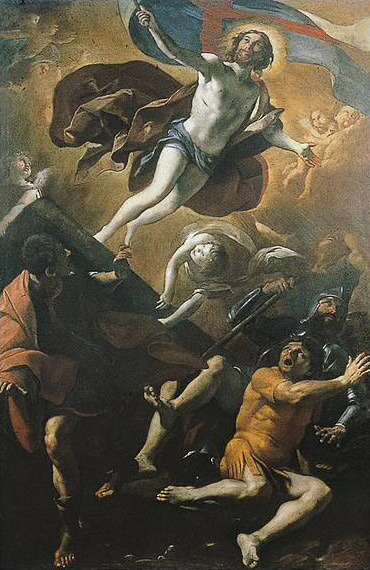 Consequently, Carracci's style has been called "eclectic": his influences are incredibly varied, ranging from local northern Italian artists to Venetian Renaissance painters like Titian and Tintoretto to Renaissance masters Michelangelo and Raphael, to the works of classical antiquity. To read more about Annibale Carracci, choose from this comprehensive list of recommended sources.